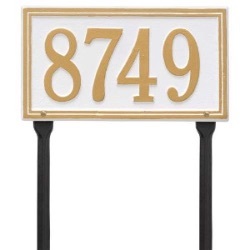 Exceptional address signs for yards and estate lawns, Whitehall lawn mount address plaques offer both elegance and affordability. 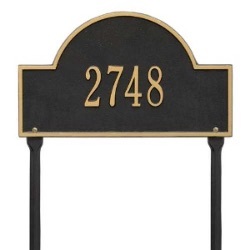 Whitehall address plaques provide a simple way to enhance curb appeal and add value to your home. 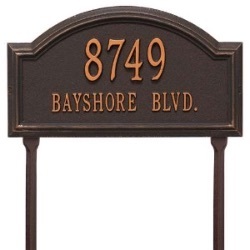 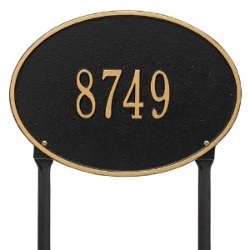 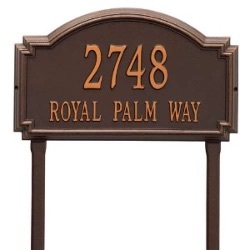 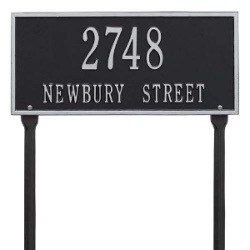 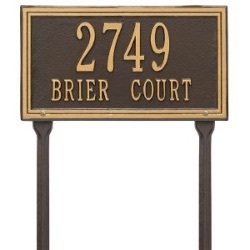 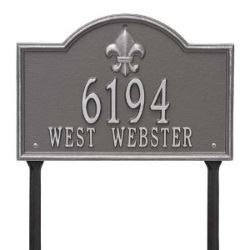 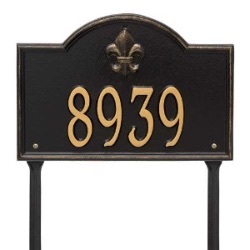 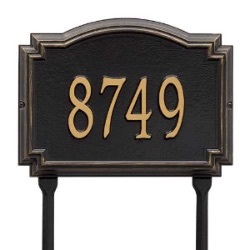 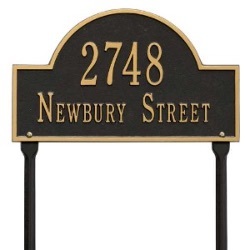 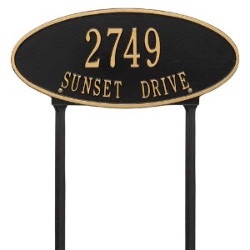 These upscale address signs are long-lasting and finished with a durable Alumi-Shield all weather coating. 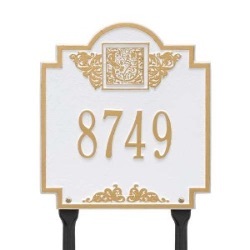 Our wide selection of fully customizable plaques includes many unique designs including street name, family name, and monogram address plaques. 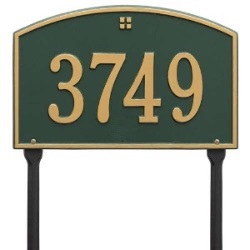 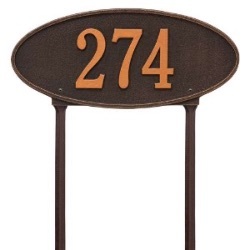 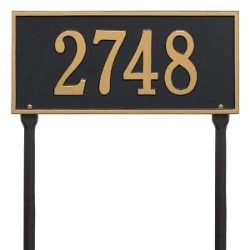 You can mount any of our lawn address signs in your yard with the included 20 inch lawn mounting spikes, or pair with an address plaque post for a memorable display.